Montreal is notorious for its summer festivals, attracting tourists from all over the world. Come winter, however, there is no denying our inborn reflex to hibernate indoors and wait for the snow to melt. Luckily, Montreal is a city that embraces its seasonal changes. No matter what the weather, the city is always buzzing with something festive to take part in. The Igloofest and Fete des Neiges de Montreal are two great examples of winter events for tourists and Montrealer’s alike. Igloofest is a unique event that has become enormously popular in Montreal. People are invited to an electrifying evening accompanied by music from the best local and international DJs in a festive outdoor environment. The festival is four weekends long beginning on January 16th and ending on February 8th for a total of 12 fun and frosty nights. The event attracts thousands of people from Montreal and its surrounding areas. Ironically, one of the hottest events in the city takes place during its coldest season and all under the beautiful night stars at the Quays of the Old Port. 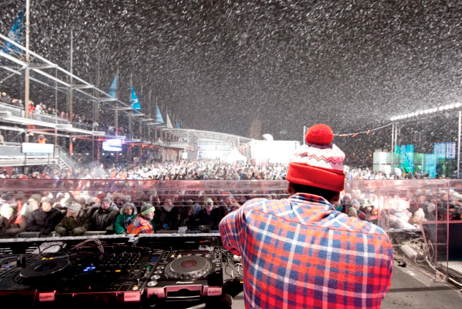 The Igloofest saw its debut in Montreal in 2007. By 2012 the festivals’ popularity flourished beyond belief and attracted an astounding crowd of 70, 000 people. With its ice-and-steel décor, its striking architectural staging and an igloo village where hot beverages, mulled wine and warm fires are close by, Igloofest is an event worth experiencing no matter where you’re from. 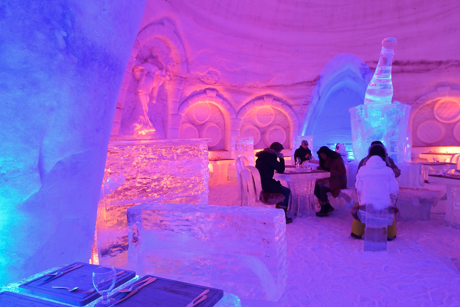 If loud music isn’t your thing, Montreal’s “Snow Festival” or Fete des Neige is another wonderful winter celebration. The event gives families the opportunity to embrace the cold by inviting people to take part in a variety of outdoor activities. Starting on January 17th, the weekend activities last up until February 8th in the picturesque Parc Jean-Drapeau. From ziplines, tube sliding, dog sled tours, skating, shows, music and much more, there’s something for everyone to enjoy! It’s a great reason for kids to get some fresh air in a fun environment, not to mention the fact that it is also the perfect opportunity to unleash your inner child and relish in the park’s winter wonderland. For the sporty types, take advantage of the cross-country ski and snowshoeing along a riverside path or give winterized rock climbing a shot! To top it all off, many of the activities are free and go on from daytime until the evening. There’s no denying Montreal’s cold winter, nevertheless, events such as these two warm the city with spirit. Don’t wait until the summer to take advantage of Montreal’s vibrant charm. Seize the season properly by checking out these two winter events!